Bathroom storage is tight to begin with; who wants drawers that only open halfway? Or, that do manage to open completely but scrape the adjoining wall. When using IKEA’s frameless cabinets it’s important to remember that fillers (spacers) are vital to separate the cabinet from the wall. Drawers will open completely and easily without any wall damage. 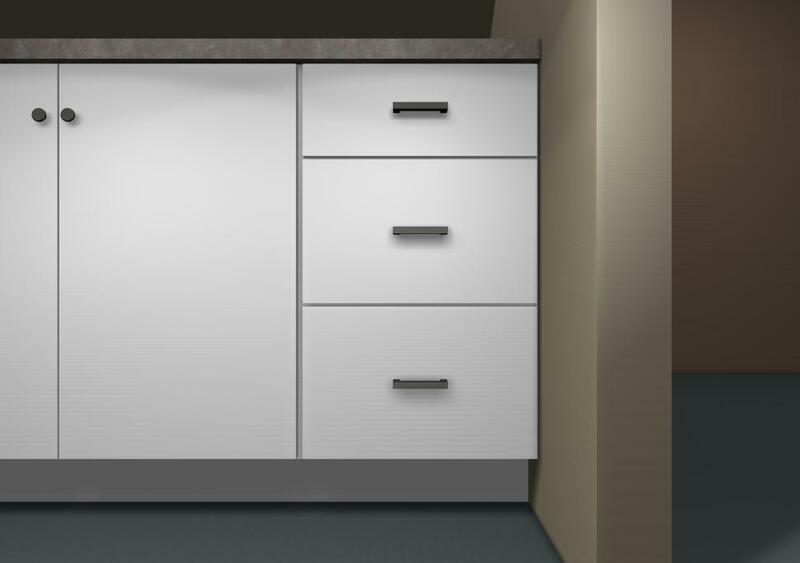 IKD began several years ago designing IKEA kitchens for IKEA authorized installation contractors. We've successfully completed thousands of IKEA kitchen designs for every possible range of size, shape, budget and style. We still continue to design for these IKEA contractors, but also serve those IKEA consumers that just want a design or will install themselves. Most often customers want a better quality design than what they can do with IKEA's Home Planner. This entry was posted in Bathroom Vanities, Common Mistakes and tagged bathroom design, common mistakes, design errors, drawer cabinets, fillers, kitchen design, mistakes. Bookmark the permalink.